Buzz Lightyear and Woody are up to more adventure than ever and you and your DS can follow along! 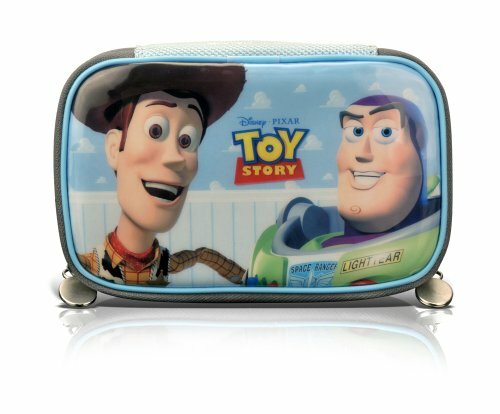 Our licensed DS console clutch with authentic Disney character art featuring Woody and Buzz is an accessory your Toy Story fan will love to carry. It holds a DSi or DS Lite console with style and even has space for 3 DS games. With a soft, cushioned interior to keep the DS protected and a secure zipper to close it all up, this case will delight any budding Woody or Jessie. Colorful and authentic Disney character art is great for all ages. Buzz and Woody fans alike will cheer! Small size makes it perfect for anyone, yet it's large enough to keep a DS and games in a neat package that can easily be wiped clean after a trip to Pizza Planet. Toss it in a backpack, bike basket or sleepover case and the contents stay secure and in place. Take it to infinity and beyond! View More In Nintendo DS. If you have any questions about this product by PDP, contact us by completing and submitting the form below. If you are looking for a specif part number, please include it with your message.